Everyone has there own way of blocking their camper and some are more mindful of the movement in the trailer after it is set up then others. 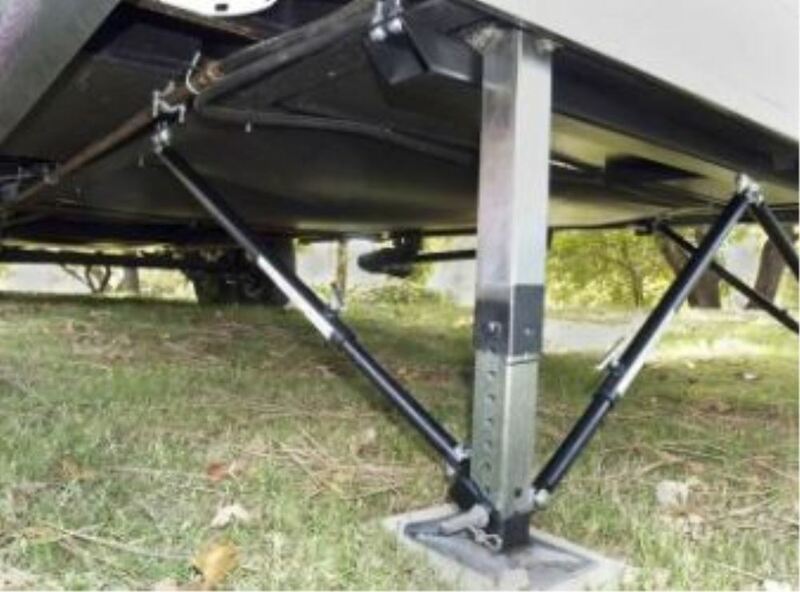 After reading many posts it seems that the thing that causes some of the most movement in a fifth wheel is the front landging gear. 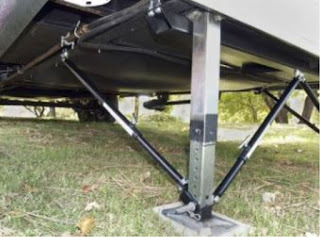 Now there are several aftermarket landing gear brace kits out there most will cost a couple hundred dollars or more. 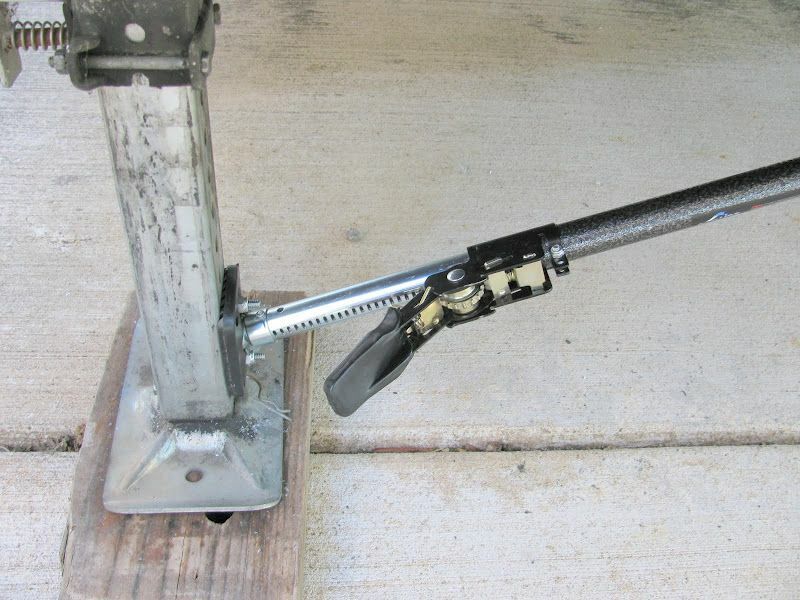 And here are a couple of pics of a cheaper alternative simple cargo loading locks, you would want the type that ratchet. 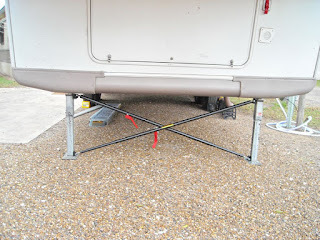 For myself after reading many posts about it and locking at the different ways that I have tried, I am convinced that more blocking in the front is the answer to eliminating the wobble in the front legs. Each setup that we do will probably be different then the one before at least for us boondockers so I will now add 2 6X8 blocks to my front set up and use more of the 2X6 blocks so I don't have to extend the rear scissor braces down so far. 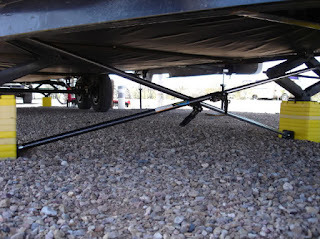 For me this is a much cheaper way to go and I will spend the money on slider supports or the extra set of scissor jacks that I want to add between the wheels and front legs, they are not for stopping the wobble but will give us more support if we are on to soft of ground and we get rain and the front supports start to sink.